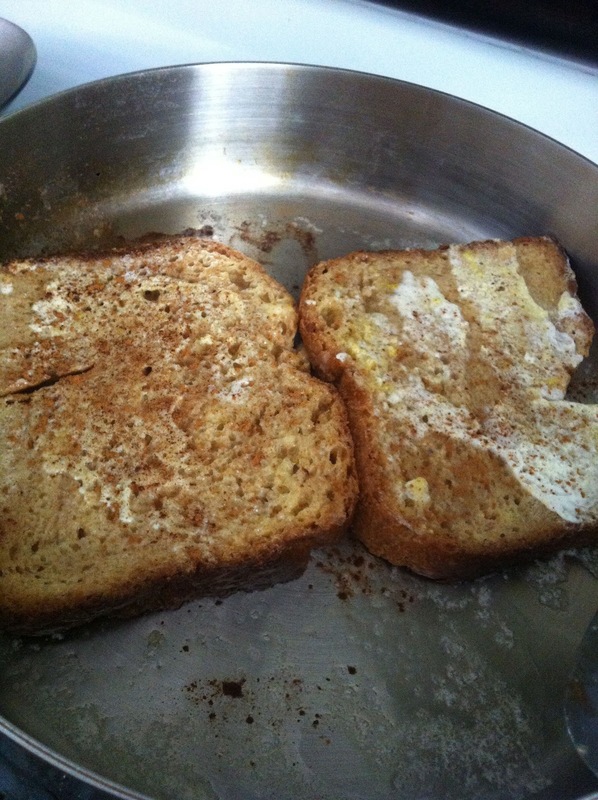 Yeah I know, this isn't original but I've been CRAVING french toast for the last month and finally gave in. 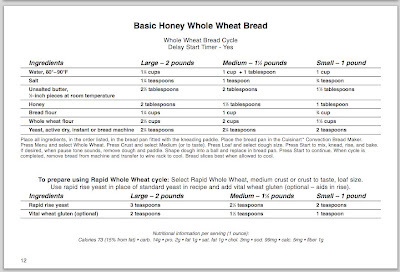 I made a loaf of homemade honey whole wheat bread and needed to do something with it before it went bad. 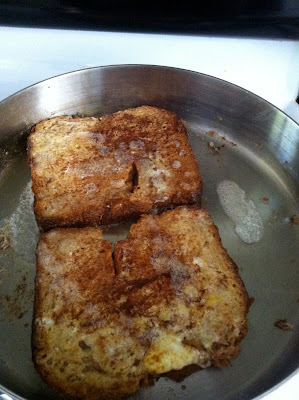 Conveniently enough, I had butter, lemons, eggs and some fabulous Canadian maple syrup from my friend, Kobes... so I went for it. 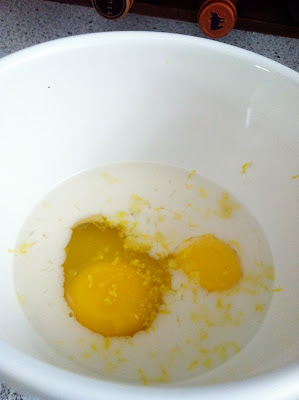 Like I said, this isn't original or fancy, but man it was so tasty and the lemon zest made it extra delightful. 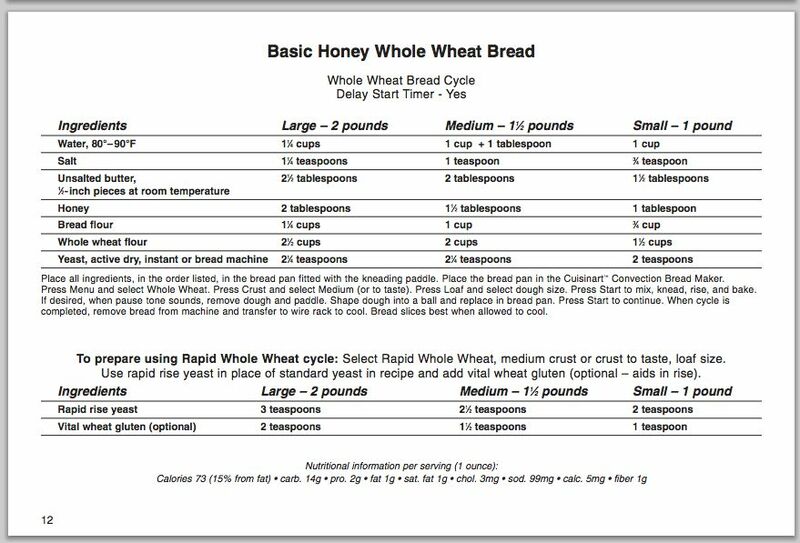 Whole Wheat Bread, preferably homemade- you can use a bread maker and use the recipe below, or you can make it without a bread maker- this recipe should do! some milk! 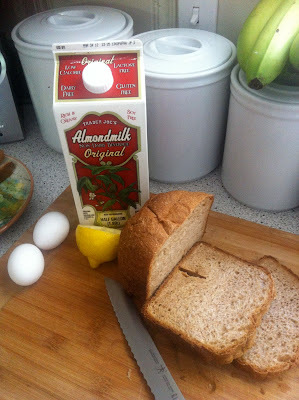 I used almond, surprise surprise, but any will do- however if you're gonna use rice milk, use a heftier amount. 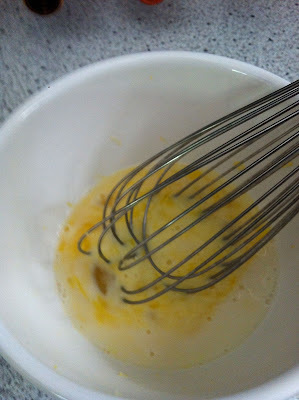 zest from 1/4 of a lemon- it goes a long way, trust me. butter, i prefer salted here. 1: In a bowl, combine your milk (or heavy cream if you really want to feel like you're being fancy), eggs, lemon zest and a happy dash of salt. Trust me, the salt will help break up the sweetness. 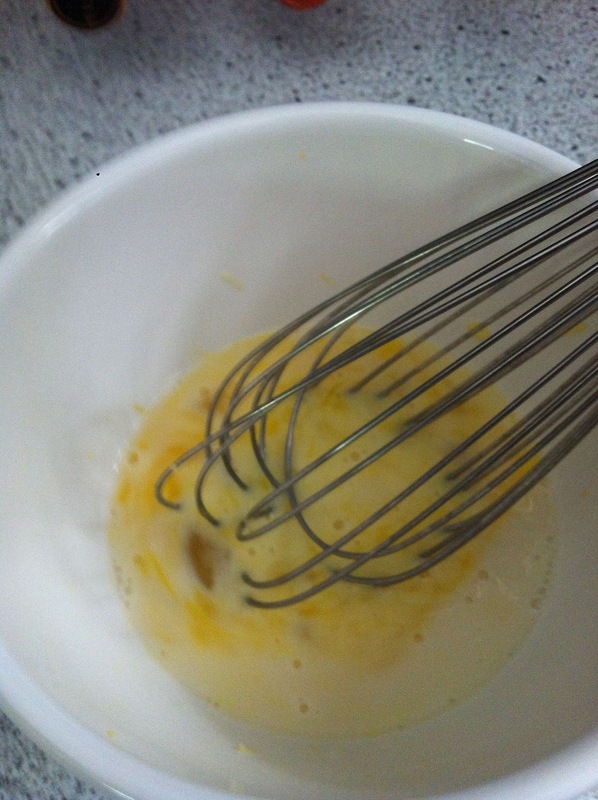 2: Whisk well for about a minute or two. 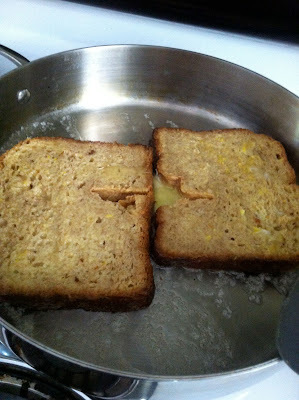 3: Pour your mixture onto a large plate and let your bread slices soak. Don't just get them wet and them flop them in the pan... soak them. Both sides. 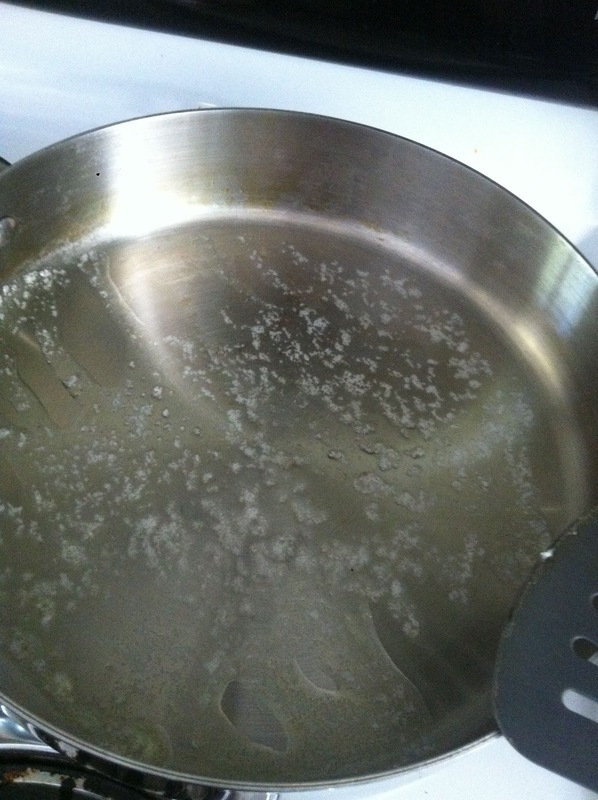 4: While those are soaking in deliciousness, get out your nice big skillet and start warming up the butter. Use a generous amount, but don't overload because after you do the first flip of the toast, you're gonna add more. I'd put the heat on medium. 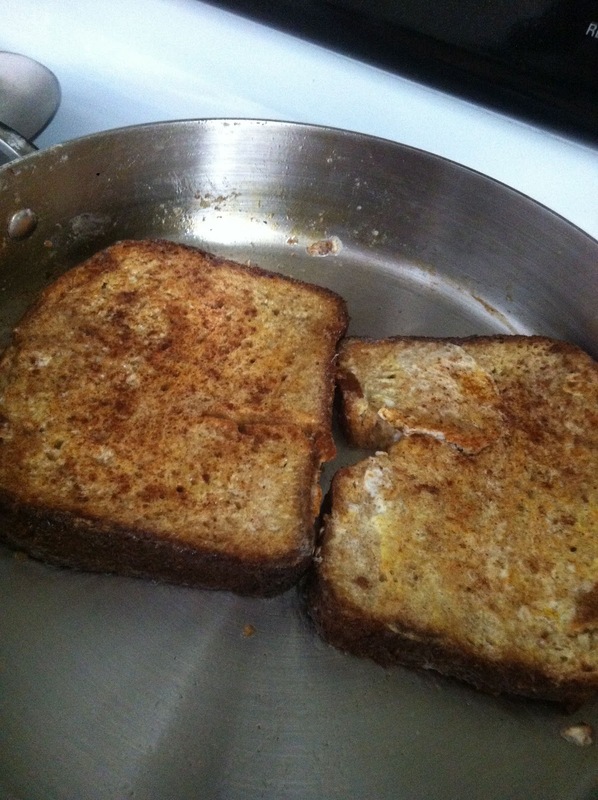 5: Place your slices in the skillet and let them get golden! This is the fun part! 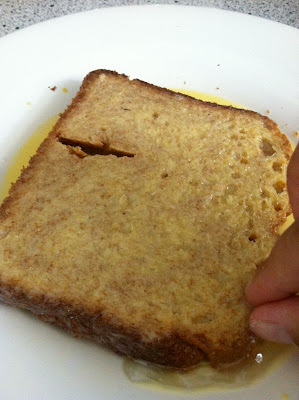 6: Flip the toast! When you do, add some more butter so the other side gets golden as well. 9: Arrange the slices pretty on the plate, slather with a little more butter, dust with powdered sugar (and raspberries if you have them!) 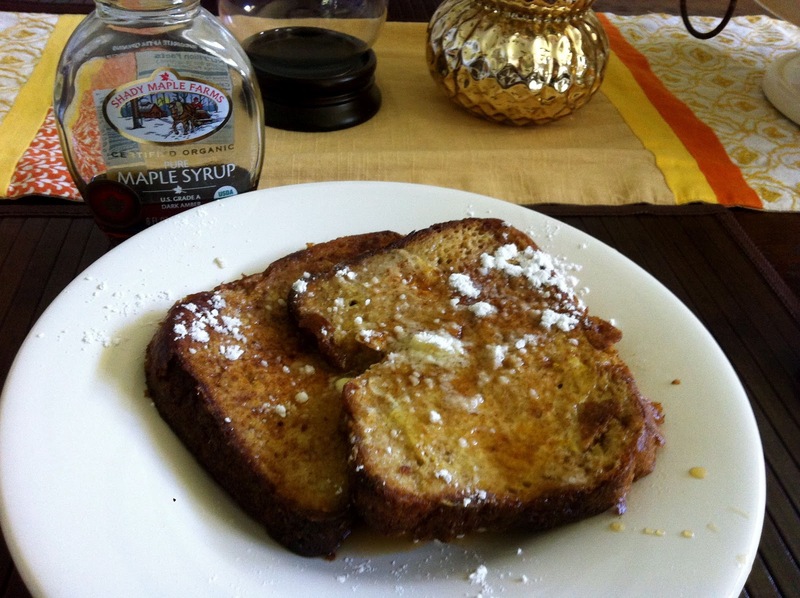 and drizzle over some warm maple syrup. Why not host a little Sunday brunch tomorrow for a few friends and dish this up! It's a great way to use up some bread and an easy, inexpensive way to treat your friends and family (and yourself) to breakfast luxury. 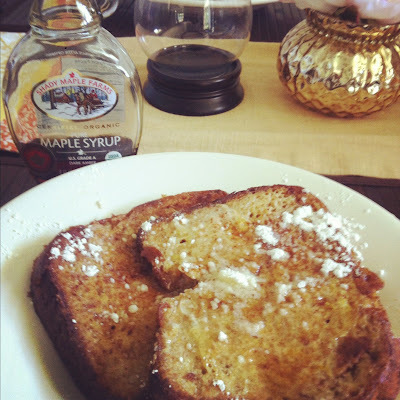 Who ever said breakfast should be boring? Spice up your morning with some lemony, doughy goodness... bon appetit!